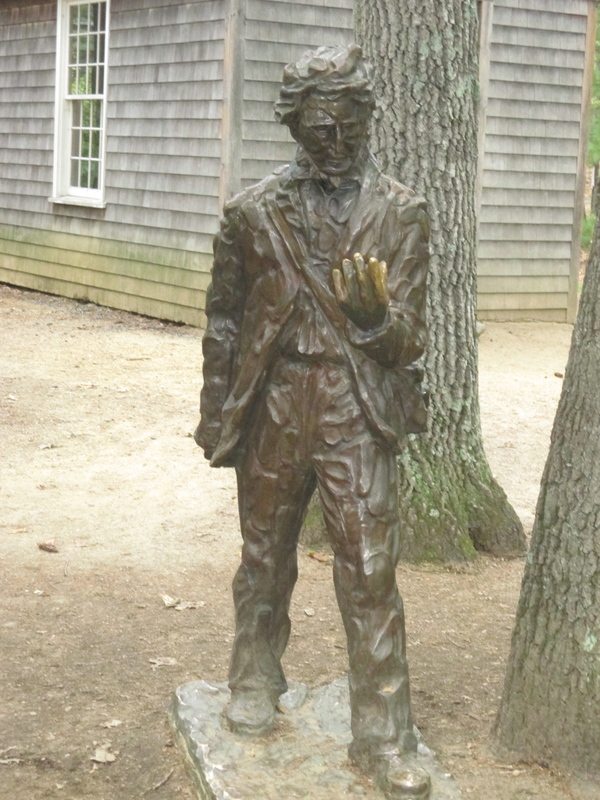 While I’ve never been a huge fan of Thoreau’s Walden (I’ve always preferred Civil Disobedience), I am a fan of Walden Pond in Concord, MA. I was too young to really understand or appreciate its significance the first two times I went. As part of a program promoting reading in school, the end of the program included a field trip to the famous pond. Near the end of the school year when the weather was just beginning to get hot, it was an opportunity to go swimming with my friends during time that was supposed to be spent in the classroom. The second year, it was cooler and the weather wasn’t as nice for swimming so my friends and I embarked on a hike around the pond. 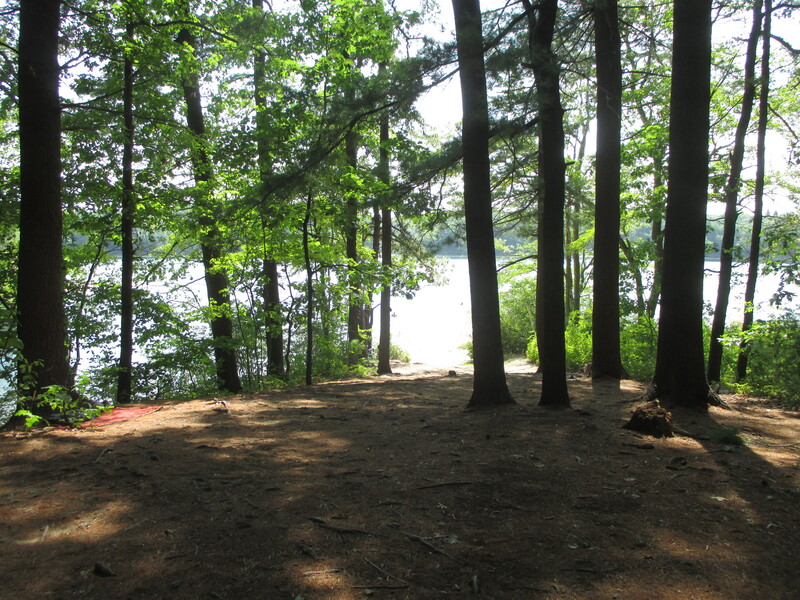 It is that hike that reveals the Walden Pond Thoreau wrote about. It’s only after you’ve left the sounds of the public beach behind and have walked far enough along the path to be beyond those who have found more secluded stretches of beach where those with young children won’t venture that you can actually find the solitude Thoreau valued so highly. And it is beautiful. Even having gone and hiked it on one of the hottest days of the summer, the shaded paths remained cool and there was a wonderful breeze. It’s a little bittersweet to think of how busy the pond can be. Aside from the attraction to literary and history nerds like myself or nature nerds, it has a beach open to the public and the washrooms, changing rooms, ice cream trucks, and sandwich trucks that go along with the multitudes spending a day at the beach. But on those overcast or dreary days, the sunbathers and swimmers disappear and only those who, like Thoreau, can truly appreciate all the pond has to offer remain. There are several paths to choose from circling the pond, totaling almost two miles of hiking trails. I don’t remember many of the specifics of Walden, but I do remember his lamentation regarding the freight train that would rumble by the pond. I don’t know if the tracks are the same, but today there is a commuter rail line that passes through the woods along one side of the pond; you can hear the commotion and see the tracks through the trees as you walk the paths. Whenever it passes, it’s like a very eerie and specific echo from the pages of Walden. 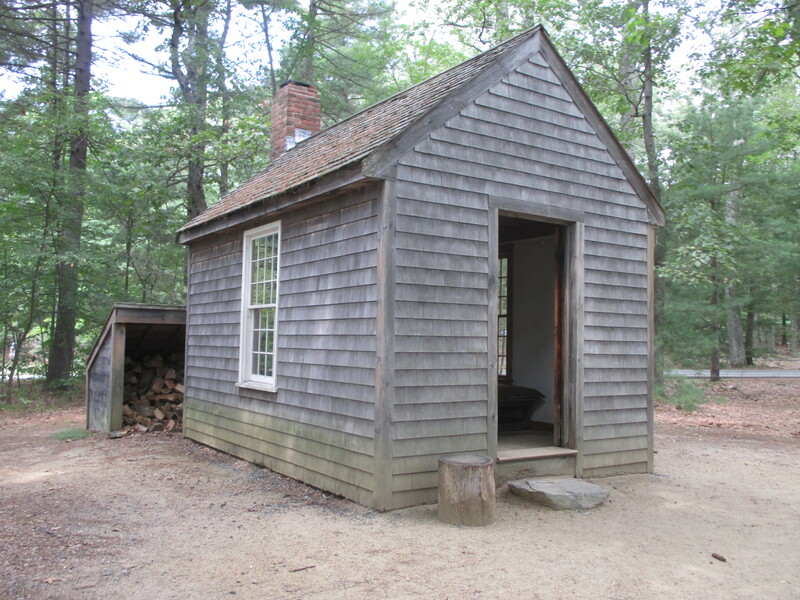 The site of Thoreau’s original cabin is marked and there is a recreation of the cabin as well; they’re just not in the same place. The original site requires a bit of a hike; the recreation is pretty much in one of the parking lots across the street from the beach. When I heard of the recreation cabin, I first thought it must have been erected sometime since I’d been there in elementary school because I’d hiked all around the pond and had seen the original site but couldn’t remember any model cabin. So this last time, I went looking for it with my friend, wandering around the original site, checking to see if it was just beyond the crest of the next path. Finding nothing, we eventually continued with our hike. It was only after we were headed back to our car and impulsively decided we needed ice cream that we stumbled onto the recreation because it was so far from not just the original site but from the pond itself. Additional photos. 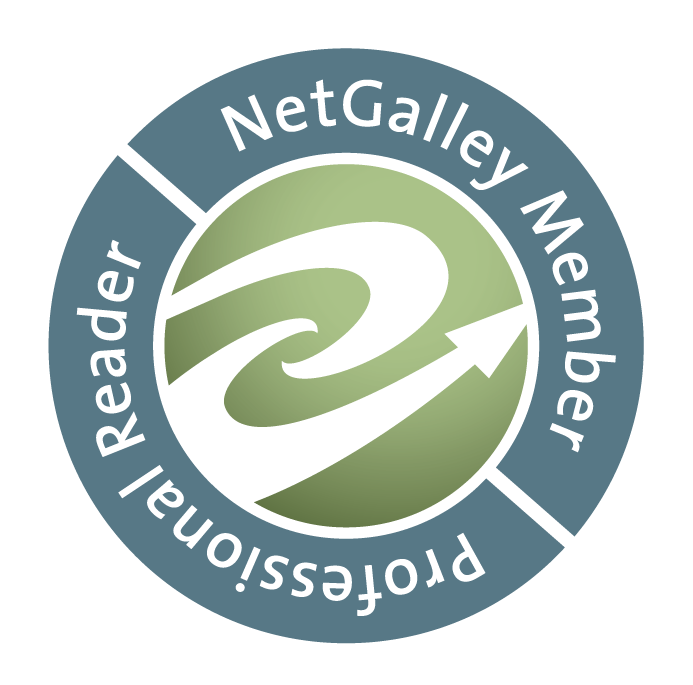 This entry was posted in Literary Travels and tagged Authors' Homes, Literary Sites and Museums.